Home › Bbq Factory Jpx36 Jpx37 Replacement Stainless Steel Flavorizer Bars / Heat Pl..
Bbq Factory Jpx36 Jpx37 Replacement Stainless Steel Flavorizer Bars / Heat Pl.. Please double-check the length of your original bars before ordering! 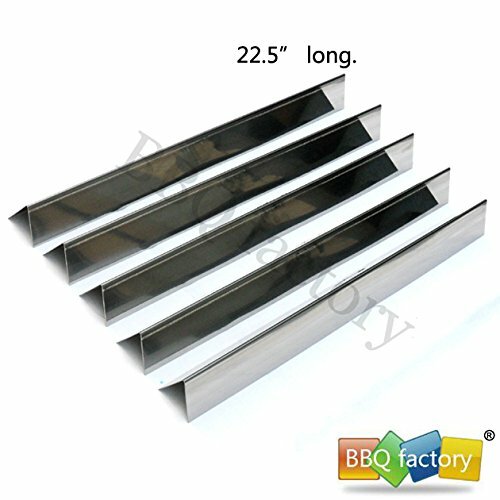 Set of 5, Dimensions: L 22.5"
New parts from bbq factory JPX36 JPX37 Replacement Stainless Steel Flavorizer Bars / heat plate, Set of 5, Aftermarket parts for Weber Flavorizer Bars. Dimensions:L 22.5 inches, Material: Stainless Steel; Cooks better! Lasts longer; Extend the life of your grill; Exact-fit parts; Durable stainless steel construction.